Take the Online Health Resource Survey! 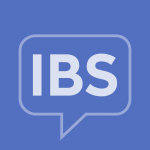 Managing a chronic health condition like irritable bowel syndrome can be overwhelming at times. How do you find reliable information? Where do you go to find a supportive community? What features matter most to you in an online resource? Your experience, and the experience of all our community members, is extremely important to us. We’re conducting this survey to understand what online resources you use to learn about and help manage your chronic health condition. The survey should take less than 20 minutes to complete and all of your responses are completely anonymous. The data we gather from this survey will be shared only in aggregate form with the communities at Health Union, including IrritableBowelSyndrome.net.